Payments FinTech Bubble – Where next? A key question affecting everyone in Payments, we look at opinions from both sides from market specialists. What we know for sure is that few FinTechs have hit it big, of course the golden question is, which are the lucky few doing what & who get to play and win? Adrian Hausser, CEO of PayX International states that “Payment FinTechs, contrary to the hype, are actually having a hard time. The Payments FinTech investments growth now appears to be behind us with the peak having occurred last May/June 2015. The wider FinTech is still growing, in areas like Insurance and Wealth. Since last year in Payments FinTech there have been clear reductions both in reported financial amounts invested and a major swing in market mood. Many enthusiastic investors have turned given the very few real return-on-investment successes from FinTechs, simply they have not achieved that crucial fundamental success criteria of mass market adoption. 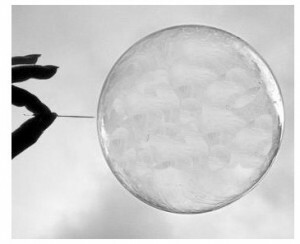 In a recent blog by Chris Skinner, Is the FinTech bubble about to burst?, he refers to a famous ‘bubble’ in the 18th Century created by the ‘South Sea Company’. In essence, a great idea to create a joint-stock company, the South Sea Company, to reduce the cost of British national debt. The government gave this company a monopoly and the initial listing of shares rose to ten times their public offering price. The company promptly issued more shares which were again sold out and so on. Then the inevitable happened, someone realised that the company hadn’t actually delivered any goods or produce and that the shares had been valuable on paper but of no worth in reality until some form of value had been delivered. One investor pulled out, soon after a succession of investors bailed and the company was brought into liquidation. So history repeats itself? Given the parallels to the Dot.com bubble in the 90’s, the Mortgage & Securities bust of 2008 and the recent case of Powa, a $2.7bn valuation company into administration, Powa founder Wagner professes shock at payment firm’s failure, this year……. is FinTech next or not? 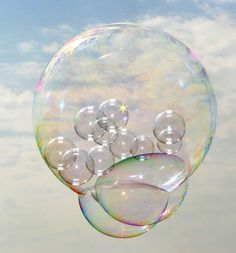 Those that argue the case that the FinTech ‘bubble’ is bursting are debating along the lines of the difficulties to break through quickly in Payments were underestimated, reduced investment, preservation of financial stability, ethical use of customer data, suitability of existing regulatory standards, difficulty in raising capital without the right networks, FinTech valuations coming down to earth and investors getting tired of next gen payments that never seem to deliver. The fintech mirage is losing its shine? 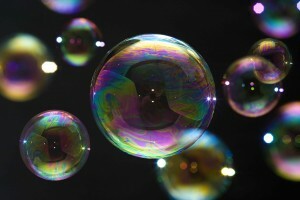 Is a FinTech Bubble About to Burst? In the opposite corner are those that strongly believe the FinTech ‘bubble’ is not bursting and argue that the market is hot, 2016 is the year that things finally get serious, maturity of the hype cycle and the shake-out of some companies in this space, increased global investment up by 67% over the same period last year and an additional $20 Bn to be invested in this year alone. But, are these investments directly related to Payments or a broad cross section of the finance industry? We have another camp though that believe that the ‘bubble’ never actually existed and this is just a natural progression of the industry aligning to the growth of the larger ‘bubble’, the evolution of the internet and that we are re-architecting our world around a means to digitise value exchange, ‘Just a rise and fall of innovation as we move through the internet age’. Is this value ‘money’ or ‘tokens’, ‘exchanges’ or ‘stores’ or other means to barter and exchange value? Other analysts believe that Blockchain, cloud and cyber security are the next frontier whilst peer-to-peer lending, digital wallets, crypto-currencies and crowd funding initiatives have all slowed down. Most importantly, where does this leave the banks and how will they adapt to the FinTech impacts? Analysts have cited ease of use, fast service and positive customer experience as advantages FinTechs have over banks but, Banks and FinTechs have strengths that are complementary and these should be leveraged around the customer experience. FinTechs excel in agility, innovation and exploiting new technology but the banks offer capital, deep customer bases and expertise in working with regulators. By partnering with ‘Enablers’, Banks can provide the link to the FinTechs without necessarily revamping critical core systems such as high volume, high value payment switches but rather can focus on API’s and integration. Payments and indeed Banks in Payments are changing for the better customer experience. The Open API Economy of wider partnerships in commerce is new ground that is being explored by all, and no doubt there will be emergence of some clever new business offerings around the corner.